Fence Sitting? It is time to get down and buy that home you have been dreaming about! 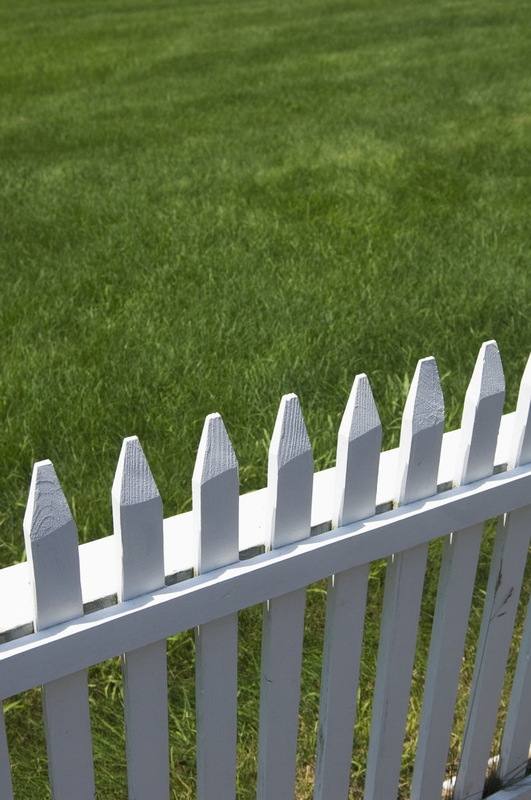 Still sitting on that fence and dreaming about buying your first home? Confused about how to get started? I don’t blame you, there is so much negative press in the media about people who are losing their homes that it can be a very scary thing. Remember up until recently, sub prime mortgages and over inflated prices were the norm. Now the game has changed in your favor. Prices have come down, interest rates are low, and lenders are far more cautious. What should you do first? Look into what mortgage program is the best for you. I went on the web to see how you would get your information. Wow, is it confusing! All these promises, how to trust someone you have never met with the largest single purchase you will make in your lifetime? Which program is right for you? Although you need to get approval before looking for your new home, find the Realtor you want to work with, yes, sit down, interview them, find out if this is the person you want to work with. Then ask your trusted Realtor for help in navigating the confusing world of the mortgage business. Realtors have mortgage resources, they know who to trust, were to go, where not to go. There are so many programs out there that I for one give my clients as much information as I have at my fingertips, then give them the names of the people I am sure can help them. No fly by night internet scams, real honest to goodness mortgage professionals who get the job done. The Housing Development Fund partners with certain lenders in the area to set you on the path to home ownership. A few different programs are available for you. Simply put, HDF will lend you the down payment, and the participating lender will lend the balance. There is even a fund for closing costs! These are not predatory loans, if you don’t have the credit scores, if you don’t meet their criteria they will tell you up front! You will have to attend a credit counseling session and there are sessions after the loan closes that you will also have to attend. My daughter used this program, it put her in a home that she loves at a price she can afford. No balloon payments, no surprises at all. She is happy as can be paying in total for her mortgage and taxes LESS than she did paying rent. USDA Rural Development Loans are available for New Milford. Yes, this is the USDA that you know and love, that approves the milk and meat you eat! You too can get that seal of approval from the USDA to live in your own home. The home MUST fall within an approved address, there are certain requirements about the home, in Litchfield County the loan limit cannot exceed $285,000. The home must meet certain requirements which are clearly stated on their website. USDA Rural Development Loans can be used for up to 102% of the appraised value of the home. CHFA loans are still alive and kicking! CHFA = Connecticut Housing Finance Authority. Low down payments, low income limits, low interest rates make these mortgages very attractive for the first time home buyer. A few of the lenders I work with on a regular basis are on the approved list of lenders for CHFA. FHA loans are insured by the Federal Housing Authority. Low down payments, low income limits, low interest rates make these loans very attractive for the first time home buyer! VA loans for Veterans, guaranteed by the Department of Veterans Affairs. There are criteria you have to meet, either as a veteran, or on active duty. This is a great product that is well deserved by those that can use it. There are many more programs available which a qualified mortgage person would be able to tell you about! After obtaining a mortgage pre approval it is then time to find your home! Based on which loan product you decided to go with can dictate the price range as well as the area you will purchase in. If you are interested in purchasing your first home in lower Litchfield or upper Fairfield County, I would be most happy to speak with you. Send me an email to andrea@andreaswiedler.com or give me a call at 203.460.1775, your choice! Looking to purchase or sell a home in the greater New Milford CT area? Please contact me , or visit my website to find out more about me. Search the MLS like I do, sign up for a Listingbook account. What is good about New Milford and the surrounding communities? Check it out! So you think you are ready to buy a home? The news is all good, interest rates are lower than ever. Housing prices are down. What to do first? Find a reputable lender. Find out how much you are qualified for, make sure that you look at what your mortgage payment will be per month, include your real estate taxes in this computation. You want to know this first, before even looking at homes. I insist on this with my buyers. Looking at homes with a price range you think will work often leads to heartache. Check out tips for finding a reputable lender by Mortgage RX. Ask about first time home buyer programs. There are many good programs available to you, make sure you investigate all the options. One I have had great success with is the Housing Development Fund. Take a look at what they have to say. Find a reputable Realtor. Remember, you will be spending time with this person, looking to them for advice, putting your trust in them to assist you with the largest purchase you will make in a long time. This is not a car, this is your home! About.com has written some very extensive articles that will answer questions you may have or didn't even know you had about choosing a Realtor. Be ready to make changes. You should have a wants and needs list. But be prepared to make adjustments in these lists as you visit more homes. Perhaps the homes in your price range will not have that extra half bath you thought you couldn't live without. Maybe the home will not have a granite countertop. Be flexible and realistic. Here is a great article from about.com on things to think about when making the choice of what is important to you. Be honest with yourself. If you fall in love with the idea of a particular home, but for instance, it will require too much work that you are not capable of doing or paying for, move on. This Old House has some good information on this subject. Don't assume that all homes are overpriced. Putting in low ball offers can really become problematic. Let's say you find the home of your dreams, you really want this home and put in an offer. Because you have read somewhere that all homes are overpriced by at least 25% you base your offer on that premise. The seller does not have to sell, and never responds to you. You may anger them so much they may not look at any other offer you make as serious. Ask your Realtor to do a buyers market analysis for you. Trust your Realtor to do their job! A good Realtor will tell you if the house is priced correctly or not. If you want that bargain priced home, look at foreclosures. Even short sales have to be approved by the bank, and they are not so willing to let it go for the price it might fetch when it has been foreclosed on and left vacant for a year. This is a reality of today's market. Be patient. It could take time, especially in the lower price range.